New Delhi: Terming shopping malls as "energy guzzlers", noted environmentalist R K Pachauri on Tuesday said they are not suited to the Indian environment. "I have never been to a shopping mall in this country. Whenever I need something, I go to a shop that I know," Pachauri, Director General of The Energy and Resources Institute (TERI), said at an event here. Buildings contribute to green house gas emissions and they should be made more efficient, said Pachauri, who is also chairperson of the United Nation's Intergovernmental Panel on Climate Change. Meanwhile, TERI and the US Green Building Council (USGBC) today announced a strategic collaboration to accelerate development of high performance buildings in India and Southeast Asia. The largest expansion of buildings is happening in the emerging economies. 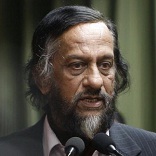 Most of the buildings projected to be standing in 2030 in India are yet to be built, Pachauri said. "Whatever we construct, if we get it right we will be saved from energy inefficiency. We don't want to go on a path that will lock us into energy inefficiency, which would be unsustainable in the long run," he added. TERI's GRIHA (Green Rating for Integrated Habitat Assessment) and USGBC's LEED (Leadership in Energy and Environmental Design) have partnered to promote the best of global and Indian practices to ensure efficiency of design, construction and operation of high performance buildings, a statement said. For new buildings, GRIHA projects will have the opportunity to earn LEED certification and LEED buildings will have the opportunity to earn GRIHA certification.